It’s been a month and the Pro Tour hype is over, and we are still adjusting and still innovating. I love that mono-black Zombies took it down, but I don’t love that much of the deck is going to rotate in six months. It’s gonna be a good time until then though! 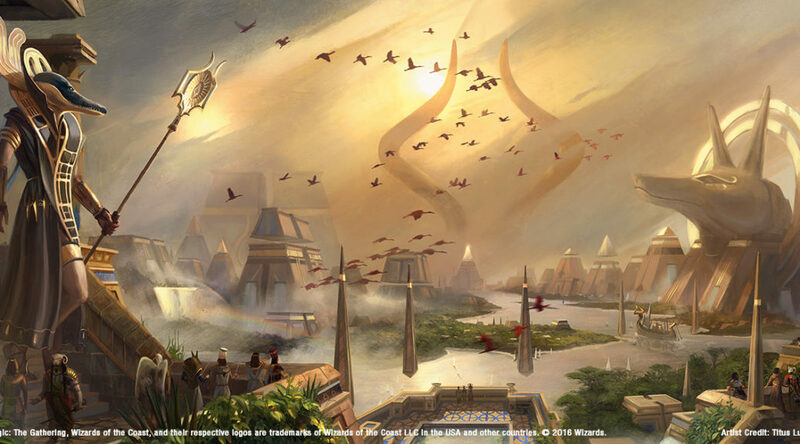 Today I want to go over some of the movements of Amonkhet cards, and how far they might fall. Gideon of the Trials ($20.69): He didn’t light up anything at the PT, so I’m not expecting much from him right now. We’ve also had hints that the Gatewatch is getting a little overplayed as a set of planeswalkers, so if he’s the only Gideon in the deck, he gets less good. I do think there’s space for him to be good, we just haven’t seen the control deck that wants him yet. If he lands, and there’s a Fumigate or other wrath waiting to punish the opponent for overcommitting to the board, then I think there’s a whole lot of potential. I’m not buying now, though, and he’s getting his price cut by a couple of stores. He’s gonna be $15 soon and I think he’ll be $10 by the time we get Hour of Devastation…which is where I’ll be getting in. I’ll be hoping for a double-up when he gets good. I am super impressed that this is rising slightly, when most of the mythics are on a slow decline. Sure, this is good in Commander, but I didn’t think it was this good. I don’t know where this will go, but experience tells me that it should be going down. I definitely am not buying this now, but the rise in price over time is fascinating given how little Standard play it’s getting. Vizier of the Menagerie ($8.13): It’s lower than when it was released, and the casual demand has been mostly sated. A creature that helps you get more creatures is always going to have a special place in my heart, especially when it’s half the mana cost of Garruk’s Horde. It’s hit $6 and has crept up a little, but I’d expect that to go back down over the next few weeks. I’d prefer to pick this up in the $3 range, but $5 might be the floor. Very few green Commander decks would skip this card. Glorious End ($1.82): So in case you’re not aware, there are streamers who can cause a card to spike quickly. This was featured the other day and while the deck didn’t light the league up, it’s closing in on bulk-mythic territory…which is always an intriguing pickup, especially considering how much longer this will be in Standard. 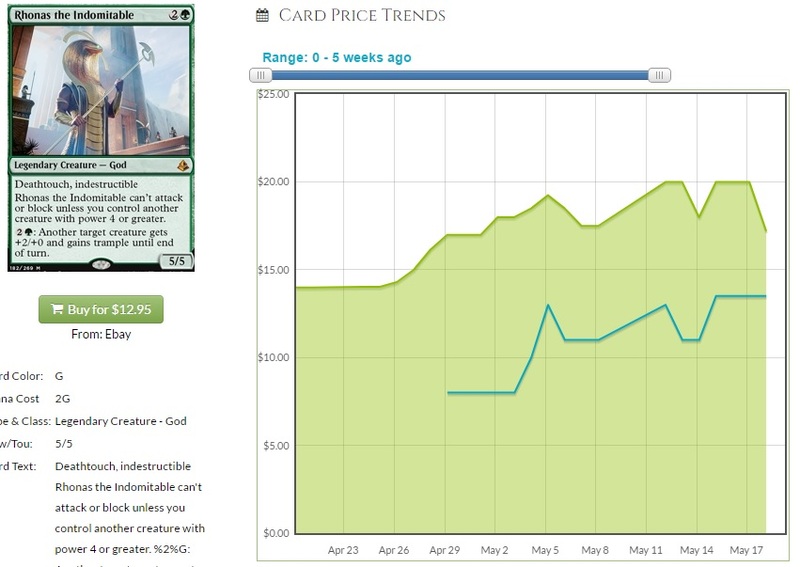 When it gets to sub-$1, I’ll be looking to grab a couple of playsets, because when these spike, it’ll be glorious. Dispossess ($.59): You’d think that with all the vehicles and Marvels and Scroungers running around this would at least be a sideboard card. I’m both surprised and not surprised Lost Legacy saw some play when Emrakul, the Promised End was the Marvel target of choice, but the goal there was to take down the monster, not the enabler. I wouldn’t mind having some of these in bulk storage, but that’s the purest of speculative targets. Special bonus pick: Fumigate ($1.79): It’s a wrath that catches you back up. Yes, it’s bad against planeswalkers and vehicles but it’s seeing more play now than at the beginning, and lots of people are trying very hard to make UW Control good again. I think eventually they will get there, and I want to have some sub-$2 copies of this handy for when it cracks $5. Cliff is a father, teacher, and casual enthusiast who recently finished a ‘Busted Uncommons’ cube, which Sol Ring is not in because it’s too busted. His Magic career boasts two PTQ top 8s that were 8 years apart. He whispers to his stack of Prophet of Kruphix every night, telling them they are good boys and their time will come.